More than $14 billion. That’s the expected insured loss from severe convective storms, thunderstorms, tornadoes, large hail and associated damaging winds in the United States in the first six months of this year. 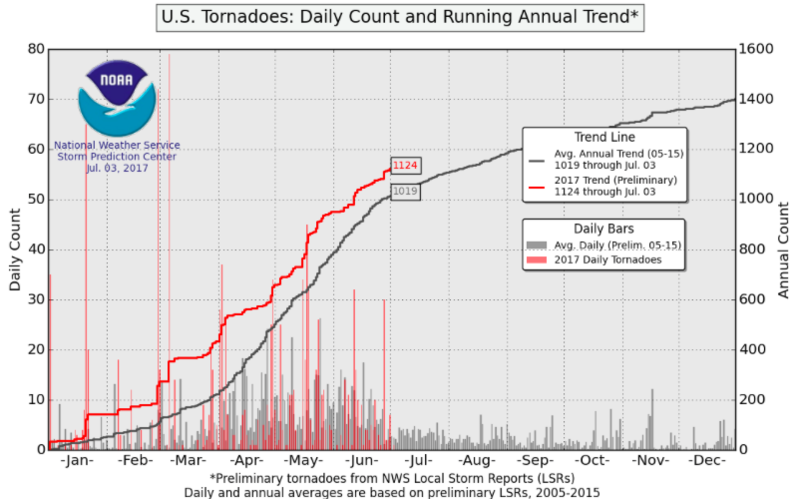 Get Insurance Information Institute facts and statistics on tornadoes and thunderstorms here. Get serious about the lightning threat from the Insuring Florida blog. Previous PostSome states make progress in tackling opioid epidemicNext PostHow many homeowners have a home inventory?